If you maybe know ow, I love to eat pancakes and love to have breakfast at the weekend. 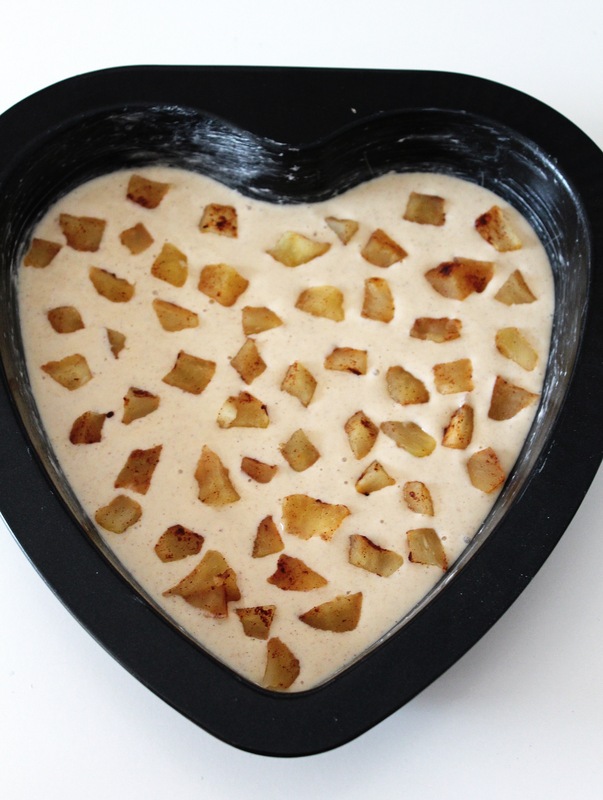 first step: I used a half apple, cut it in a lot pieces and sprinkle it with a little bit Cinamon. 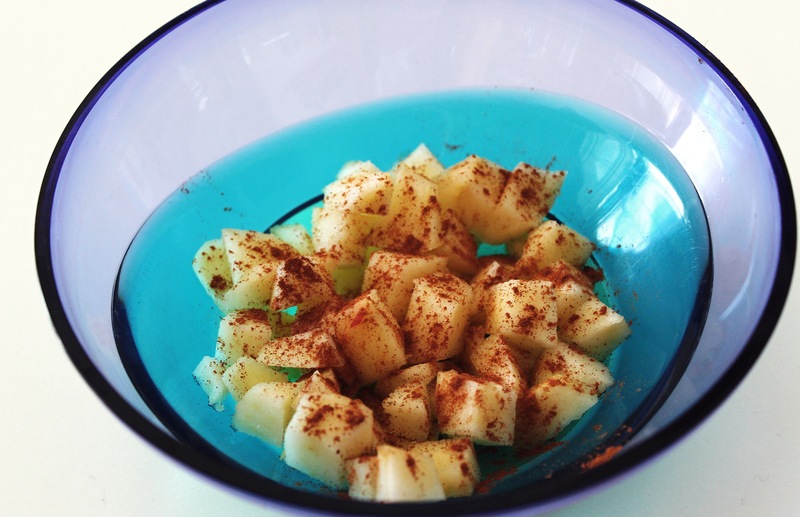 I put the bowl for 2 minutes in the microwave, so that the apple gets the full flavor of cinnamon. 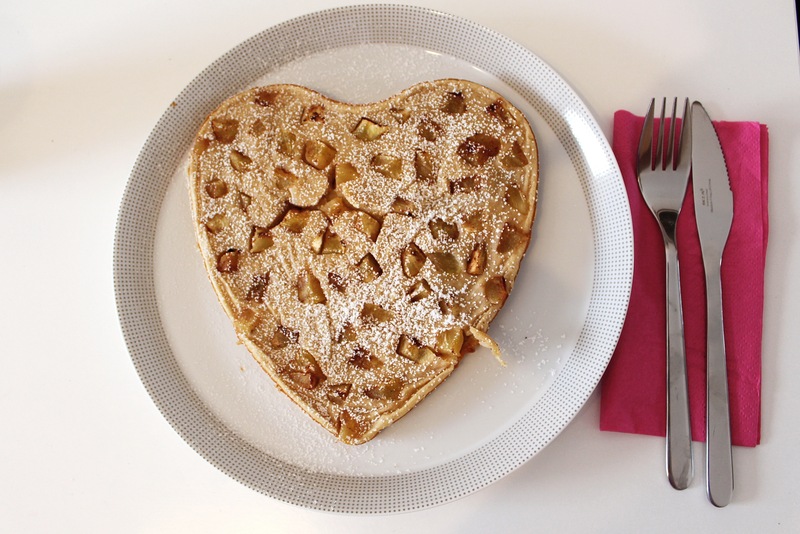 second step:i put the pancake mix in a heart backing thin, and placed the apple pieces on it. Now the only thing you have to do is, put in the oven( 350F) for 10 minutes.